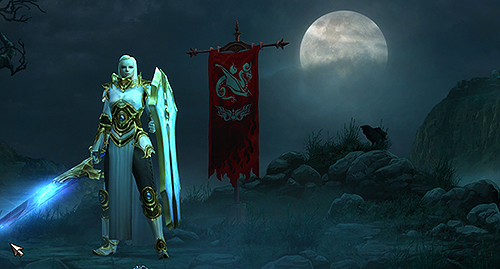 In case you haven’t been paying attention this week, but Diablo III: Reaper of Souls dropped. I have written about my time spent with this pleasant hack-and-slash game before, and it has been mostly positive and about how fun the game is. I had put it down for a while to focus on Mists of Pandaria but their pre-expansion patch 2.0 dragged me back with all of the quality of life changes. The expansion is no less engaging so far, as well. What Diablo III: Reaper of Souls introduced, along with the new story quest content and Adventure Mode is a new class called the Crusader. A previously small branch of holy warriors that follow the religion of Zakarum, they are pious defenders that rid the world of sin and demonic activity. They apparently are similar to the paladins of Diablo II, but my own investigation into this has yielded at least one glaring question: why are they so white? The thought that prompted to look into this class’ possible beginnings was wondering why Crusaders wouldn’t look like Tyrael’s human self versus the great white-haired-and-blue-eyed woman that stands on my logon screen. Tyrael (voiced by Jonathan Adams) is a fallen angel of the Heavens who is portrayed in the cinematic as well as his in-game portrait as black. Wouldn’t it make at least a clever bit of sense to have the newly minted Crusaders be made in the visage of Diablo III‘s most holy knight? It’s not like the game isn’t lacking other black and brown characters at this point, though the problem is that up until this point in Diablo III‘s career, the witch doctors are not exactly something I’d call a positive portrayal of black people. Witch doctors, although entirely fun as a game class, are black people that are styled in a way that is built on incredibly racist tropes. Upon looking at the Diablo II wiki, this became pretty obvious. Paladins and Crusaders are both warriors of Zakarum. It would make both aesthetic and narrative sense to have the two classes look similar. The fact that how Crusaders look now is remarkably different from how they should have looked is touched on in-game. There’s a lore book in Reaper of Souls explaining why this occurred (somehow) as the crusaders split off from other holy orders to go East (which ignores things like how migration doesn’t magically turn you from black to lily white in a rapid fashion). The Crusaders of the present also differ physically from their forebears—Abd al-Hazir referred to them as “tall blonde warriors,” very different from their Kehjistani forefathers. While these Crusaders still bear the name of their forefathers, they are ethnically of Sanctuary’s far east rather than Kehjistan. There’s also the problem where it is intimated that the Crusaders split off due to their purity and zealousness and immunity to corruption that paladins never had that bothers the living heck out of me. It reads very oddly to have a holy order that is “ethnically different” from darker forebears but is also fabulously more pure. How does only a handful of generations of holy warriors manage to become a crusader of a different color if they are typically loners with only an apprentice? I wonder. Even if none of this lore was particularly threadbare and bizarre on the subject of religious soldiers, there’s still the matter that often fantasy bases it’s portrayal of divine holy people as light and bright, skin color entirely in line with this. Seeing black or brown Crusaders in the vein of the paladins of yore would have gone a long way to shaking up the makeup of Diablo’s classes and unoriginal fantasy palettes even further. While it is commendable that they’ve done a handful of things differently than other games in this vein, perhaps, they’ve done not nearly enough and done a few things hideously wrong. I get that maybe Blizzard got hyped on a tall, blonde Joan of Arc warrior woman type and while it’s cool to see them develop a woman character as the driving force behind a creative endeavor but the fact that she was yet another conventionally beautiful, blonde warrior woman in a long line of them in fantasy as an acceptable “strong” woman visage was nothing new. 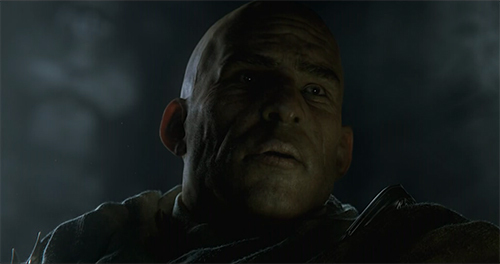 They missed out on a logical, fairly necessary place to honor some of Diablo’s older lore as well as create more characters that aren’t white.